A classic food pairing is cookies and milk, but have you ever stopped to wonder why? Sure, this combination is delicious. But did you know that according to researchers in The Journal of the American Dental Association, a glass of milk after eating sweets could keep tooth decay away? However, it’s not enough to just drink milk. It’s important to drink milk after eating those sweets. The researchers also stated that the order that we eat sugary and non-sugary foods has a great impact on our oral health. This is due to the fact that consuming sweets causes the bacteria in the plaque on teeth to produce acids which can result in decay. A study conducted at the University of Illinois at Chicago’s School of Dentistry tested the effects of drinking milk, apple juice, and water after eating sugary cereal on the acidity of dental plaque. The results demonstrated that plaque acid levels decreased the most when participants drank milk after eating the cereal. Water was the second most efficient at lowering plaque acid levels, followed by cereal alone and apple juice. Therefore, if you are lactose intolerant, make sure to drink water after consuming sweets. Milk is not only beneficial for our health. Did you know that the mutations that make us tolerant of milk are among those that are under the strongest selection in the human genome? 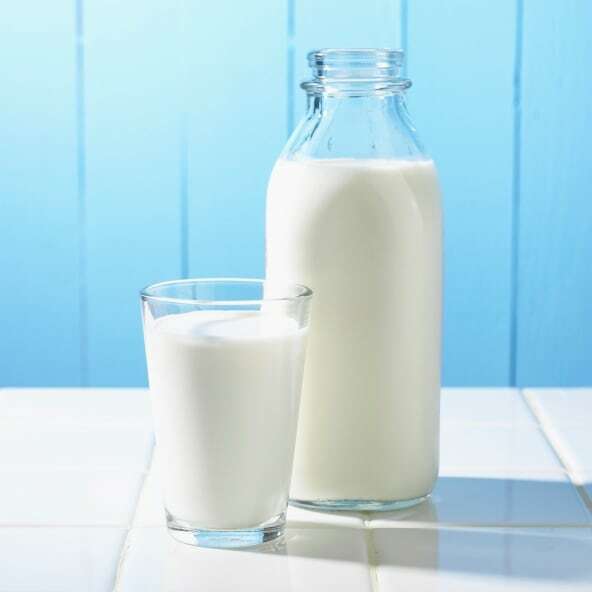 The continued production of lactase, an intestinal enzyme needed during infancy to help digest lactose milk sugar, results from these mutations, which are prevalent in some parts of the world such as Northern Europe. However, most other populations cannot properly digest lactose, which often leads to diarrhea and other symptoms that are caused by the production of gases by the fermentation of gut bacteria. Furthermore, milk sugars can be easily removed from foods and the mutations are only needed for raw milk or whey. It’s a wonder why these mutations have lasted. Therefore, there have been many attempts to understand the reason behind their persistence by studying where and when humans used milk. Archaeologists have found evidence for the prevalence of females in animal herds and the presence of milk lipids on pots. In addition, international researchers at the Universities of York, Oklahoma, and Copenhagen, and University College London (UCL) studied ancient human calcified dental plaque. This team detected traces of beta-lactoglobulin, a dominant milk protein often used to build muscle mass, in ancient samples. This new evidence proves that humans have consumed cattle, sheep, and goat whey since at least 5,000 years ago, which supports the fact that archaeologists have found milk fats on pottery and utensils from ancient farmers. The researchers even found proof of milk from the Bronze Age (c. 3150 BCE)!